May 23rd in WP Stuff by Wordpress Jedi . We have already covered reasons webmasters should consider signing up for Sucuri. It is one of many services we use to monitor our websites and find out about hack attacks fast. Sucuri does have a pretty decent plugin that could help you make your website safe against basic hack attacks. 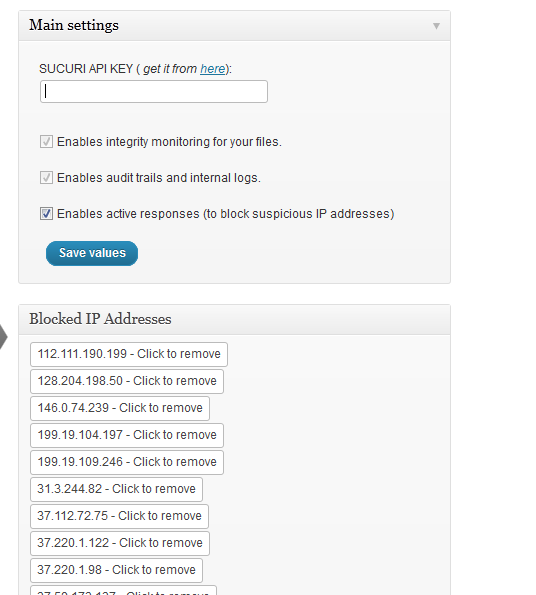 Sucuri for WordPress monitors your files, keeps track of blocked IPs, and helps you figure out whether your website has been compromised. In order to install this plugin, you are going to need a Sucuri account. 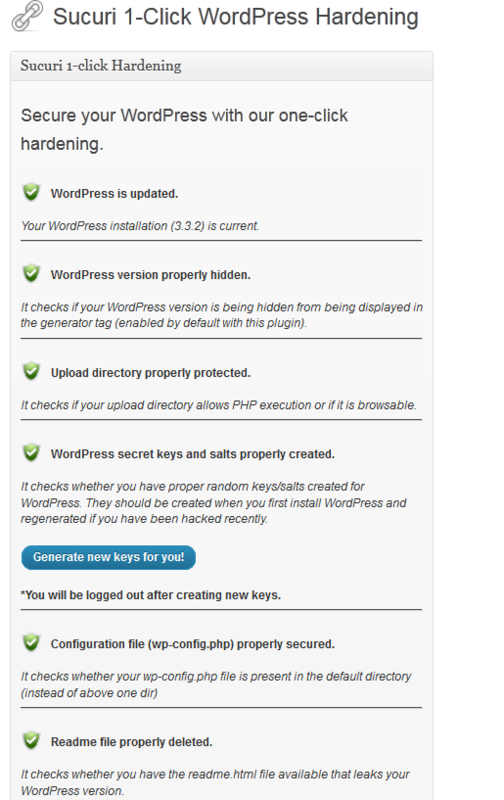 Once you are logged in, go to the WordPress Plugin section and choose “WordPress Audit Log” to add your website and get your API key. Once you install the plugin and let it run for a while, you can use the audit log feature to find out who’s been trying to be naughty on your site (it shows you file changes, blocked IPs, and other useful information). Sucuri can block harmful IPs before they cause your website any trouble. You can always white-list your own IP to stay on the safe side. You can run an external malware scanner from within this plugin. The 1-Click hardening option implements basic WordPress hardening tactics on your site. Sucuri for WordPress has a lot of potential. We would love for it to offer more advanced security tools. At this point, it does have enough to add yet another layer of hack protection to your website.